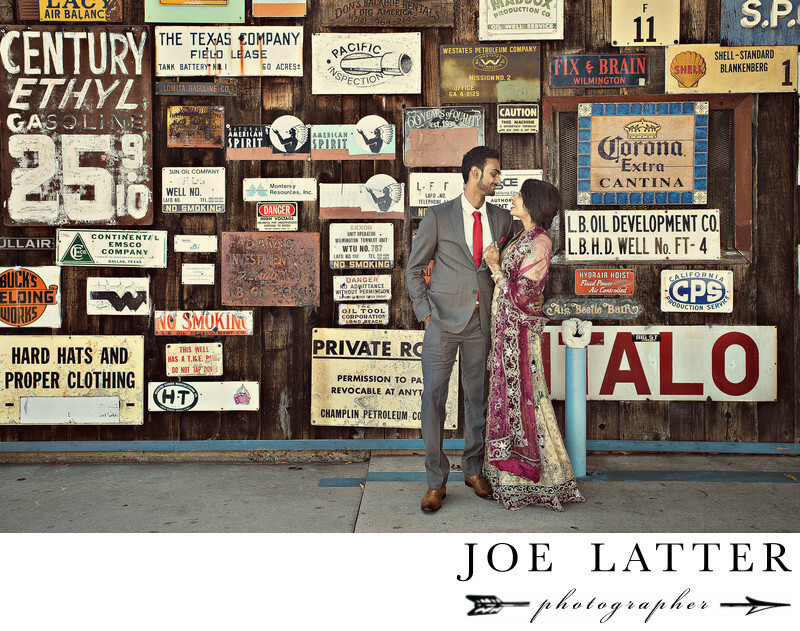 Many times my Indian clients like to add a modern twist to their traditional South Asian wedding ceremony. On this day we were headed from the ceremony over to the reception when I noticed this great backdrop on the side of the road. At first the bride and groom seemed skeptical but would later tell me these were their favorite images of the entire day.Keywords: Cultural (3), Indian (195), South Indian (3), The Grand (3).